Today is Memorial Day, the last of a three-day weekend and unofficial kick off of the summer season... and it is so much more! A national holiday, Memorial Day was set aside by an act of Congress to remember our war dead, from the Civil War onward. To remember. Our war dead. You know by now, that I am a HUGE supporter of our military men and women. Our heroes. Our TRUE heroes. Those that raise their hands and say "Yeah, I'll do it. I'll work from sun-up to sun-down, pack up and move at the drop of a hat, miss birth days, and birthdays, anniversaries, holidays, and anything that resembles a normal family life. I'll do it for little pay and little thanks. I'll put my life on the line for you, a stranger. And if losing a leg or an arm or my life is what it takes to protect yours, I'll do that too." Some of you will be attending a parade, working in a cemetery, a soup kitchen, or at some other type of volunteer effort that honors the fallen, the forgotten, or those still tirelessly working on our behalves... Thank you. But at some point today we will stop. We will stand silent for a moment or two. I will put my hand over my heart and we will consciously remember. This is important to me. It's is important that I take the time to explain to the children that this 3-day weekend was brought to you by, heroes. Won't you please do the same? Remember and teach. 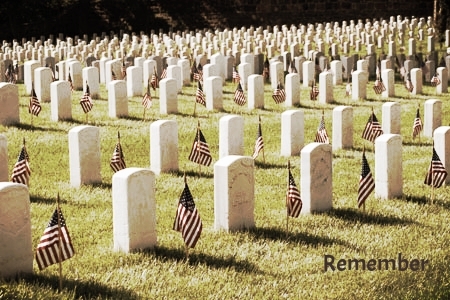 Countless men and women have given their lives so that we may live in freedom. Mother's and fathers have lost their children whom they committed their own lives to raising. Wives and husbands have all too soon come to the "till death do us part" part . Children have grown without parents. Brothers, sisters, aunts, uncles, cousins, friends... All have lost for our gain. And when you head back home from wherever you've been, tired and maybe slightly irritable, take a deep breath. Get the snacks ready, be prepared to stop for frequent potty breaks, and whatever else it takes to make it through the traffic jams and delays that will deliver you back to the routine of your life and work week. And know I'll be here. On your local dial or via iHeartRadio, tune in and I'll help you get where you're going, with a positive message, lots of great stories and music, and a few reminders to Love Someone.